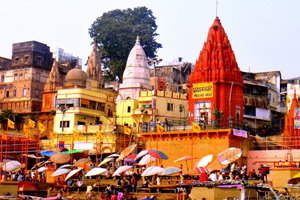 While planning to tour north India, do think of snow-capped Himalayan hills, land of five rivers- Punjab, holy river the Ganges (Ganga), the desert land of Maharajas-Rajasthan, poetry built of marble- Taj Mahal, eroticism encapsulated in incredible sculptures of Khajuraho temples, the cultural capital of India-the holy city of Varanasi, abode of the saints and sages – Haridwar, pristine centre of ‘ashramas’ and Yoga & Ayurveda –Rishikesh, scenic abode of Royal Bengal tigers- Ranthambhore and Jim Corbett national parks, several varieties of birds in Keoladeo Bird Sanctuary of Bharatpur and historical city of Delhi- a witness of making and breaking of empires since last 5000 years. Grandiose forts, majestic palaces, magnanimous temples, sprawling tombs, desert safaris on camel, tiger safaris on jeep, excursions to craftsmen villages, boat cruises in the Ganges and Lake Pichola, manual rickshaw and ‘tonga’ rides, tasty cuisines, colourful handicraft articles, bustling bazaars, cultural festivals and ages old but still relevant and prevalent religious rituals and social traditions will be part of North India tours. 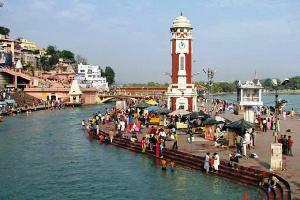 Optima India Tourism offers a large variety of North India tours. 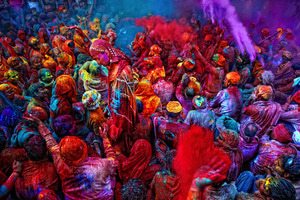 The list of North India tour packages covers almost every important destination in North India. Delhi, Agra, (Fatehpur Sikri), Jaipur, Delhi . Delhi, (Samode), Jaipur, Agra, Khajuraho, Varanasi, Delhi. Delhi, Jaipur, (Fatehpur Sikri), Agra, Gwalior, Orchha, Khajuraho, Varanasi, Delhi. 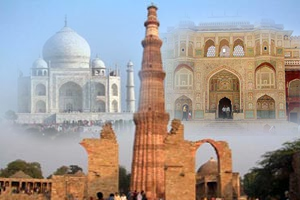 Incredible North India Tour is one of the most loved India tours as it not only acquaints you with various aspects of North India’s cultural heritage but also allows you freedom to explore exotic destinations at your own discretion. We take you to the original and genuine India! North India Highlights tour is designed for the visitors who aspire to explore prominent and disparate Indian destinations of north India. 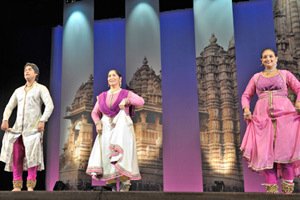 Spiritual Tour of North India offers true perspective of Indian heritage which is intrinsically imbued with spiritualism. 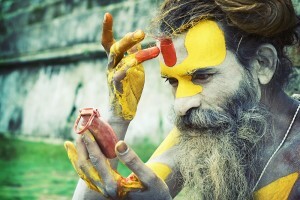 In India, religion is omnipresent and an important part of everyday life. 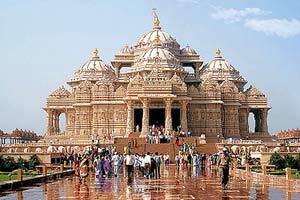 Delhi - Agra - Lucknow - Sravasti - Lumbini (Nepal) - Kushinagar - Vaishali - Patna - Rajgir - Nalanda - Bodhgaya - Varanasi - Delhi . Kashmir Honeymoon Tour offers honeymooners or the leisure traveler ample opportunity to be cozily ensconced into idyllic natural surroundings of Kashmir, aptly termed as ‘Heaven on Earth’.